Max Arbour submitted this photo. I marched with the Bluestars in 2007 as a baritone player. 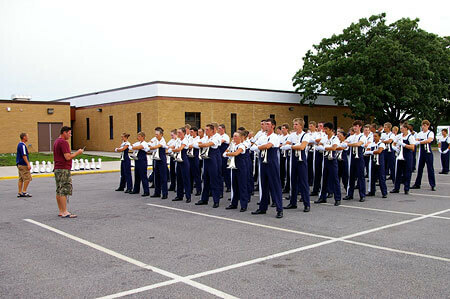 This is a photo of the corps during our preshow warm-up.